Upswing is seeking two skilled performers for our new outdoor touring production Catch Me. We would like to find two performers who are playful and open to devising movement with other cast members. Upswing productions are ensemble pieces where all artists contribute to making the production collaboratively. A team working approach is vital. We want to work with performers who are happy to experiment and muck in where needed. We value the people that we work with and aim to create a challenging yet fun working environment. 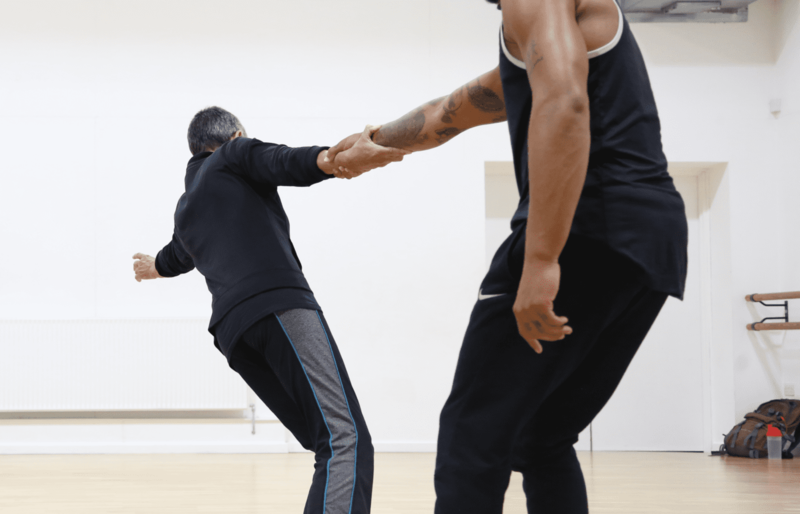 Upswing is seeking an experienced female dancer age 50 and over – for a new outdoor touring performance on a bespoke designed set working with an intergenerational cast from March to Sept 2019. Additional skills in object manipulation or any experience of partner/contact work would be an advantage but is not essential. Upswing is seeking a BAME male Physical performer – with a playing age of 30 or under – for a new outdoor touring performance on a bespoke designed set working with an intergenerational cast from March to Sept 2019. We are seeking a performer skilled in either handstands, acrobatics, gymnastics or parkour. Additional skills in juggling and object manipulation or any experience of partner work would be an advantage but not essential. Applicants must have availability for ALL the above dates. In addition please indicate dates that are not available for the whole March – September period as we will add more performing dates. Performers will be paid above Equity minimum. Please note that we cover relocation costs within the UK outside of London. We welcome applications from those outside the UK, but we are unable to cover expenses for artists coming from overseas. To apply please send a headshot, video links of your work and a CV or work history to recruitment@upswing.org.uk with “Catch Me Casting” in the subject line. Deadline for applications is 22nd February 5pm. Shortlisted applicants will be notified by 25th February. Auditions will be on 27th February in London. If you are experiencing any access concerns or issues please call or email the office and we would be happy to talk through.